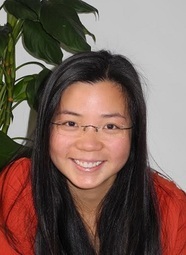 Jingjing Dann is an MA mental health counselor trainee of Palo Alto University and is a certified mental health counselor in China under the National Certification for Mental Health Counseling (Level 2). She is currently working as a clinical intern at Olivia’s Place. She works with children who experience emotional, social, behavioral and academic difficulties, and parents who needs assistance with their own mental well-being, parent-child relationships and parenting skills. She can be reached at brycejing@gmail.com or +86 18321953496.